Fine beer is enjoying a renaissance worldwide, from international classics to American micro-brews, and demand for truly great beer is on the rise. The icons of style hail from great European brewing traditions, like those of Belgium and Germany. Up-and-coming brewers in the “New World” are pushing the envelope too, dreaming up new categories and making world-class beers in their own right. The finest brews range widely in color from straw gold to chocolate brown, but share tremendous flavor impact and a lingering, food-friendly finish. Most are strong ales that deliver heaping helpings of malty goodness and snappy hop bitterness. All are full-bodied sipping beers that invite good company and contemplation. For best results, serve in a snifter, goblet or stemmed wine glass at no colder than 50º F.
Be sure you also check out this Complete Guide to Beer for even more delicious brews. Price: $17.50 for 750 ml. 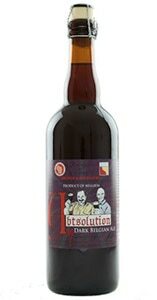 The name is a play on the word absolution, a word meaning the formal forgiveness of sins; the extra letter “t” is for the Abt abbreviation for Belgian quadruple dark ale, a style known for its deep fruity notes. Although it’s brewed and bottled at De Proefbrouwerij in Belgium, this collaboration between Belgian brewer Dirk Naudts of De Proefbrouwerij and Daniel Carey of the Wisconsin-based New Glarus Brewing uses American ingredients: Santiam and Chinook hops, which add pine and spice notes, and lactose derived from local Wisconsin cows to impart extra mouthfeel and sweetness. The beer is aged in both French and American oak, which lends a complexity and velvety smooth palate. This ale can be enjoyed now, but if you have the patience to wait, it will evolve beautifully over the next one to two years. This modern classic has been produced by the San Diego-based AleSmith Brewing Company since 2002. Made year round, this 12% ABV behemoth pours a deep black with a tan head and an aroma of bitter coffee and roasted nuts. This beer offers the best of two tasting experiences. When sipped cold, fresh out of the fridge, a malty sweetness with toffee and caramel notes dominates. As it warms, the flavor transforms into a richness of bitter dark chocolate and roasted malt with a generous dose of locally-roasted coffee from Ryan Brothers Coffee. This beer’s robust mouthfeel and enduring bitter chocolate aftertaste make it quite food friendly, or a wonderful dessert to sip after a meal. Price: $11 for 22 oz. Is it a cocktail as a beer? Or beer as a cocktail? Either way, this Louisiana-made brew is made for sipping. 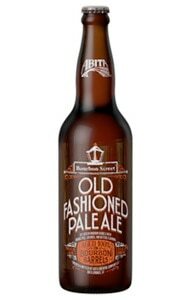 Inspired by the classic Old Fashioned cocktail, this unique creation from Abita Brewing Company is brewed with malted barley and rye, then aged four months in bourbon barrels that have previously aged small-batch whiskey. After aging, the same ingredients you would find in the cocktail are added to the mix — fresh orange peel, maraschino cherries and aromatic bitters. Just as you would sip a cocktail to appreciate its savory notes, this brew at 9.25% ABV is definitely one to enjoy slowly. Price: $17 for 22 oz. Part of the Bend, Oregon-based Deschutes Brewery’s Reserve Series, this unique Belgian-style ale is a prime example of melding beer and wine. Its 11.2% ABV is in the average range of a wine’s alcohol content and it’s aged for 18 months in French oak Pinot Noir barrels that contain Pinot grape must (the freshly-pressed juice that includes the skins and seeds). Other ingredients include malted wheat, flaked oats, black barley and U.S. Tettnang and Crystal hops. The result is a slightly sour beer that brings complexity with notes of dried fruit, berries, tannins and acidity along with hints of tropical fruit and spice from the Belgian yeast. This brew will appeal to lovers of fermented grapes as well as those who prefer fermented barley. And like a fine wine, it can be enjoyed now or cellared to enjoy years later. Price: $17 for four-pack 12 oz. 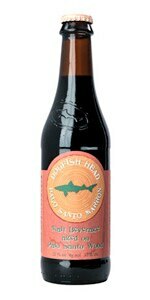 First crafted at Dogfish Head’s Rehoboth Beach brewpub in 2006, Palo Santo Marron was such a big hit that it was bottled the next year. This unfiltered ale spends three weeks in a stainless steel fermenter before being transferred to a massive 10,000-gallon tank handmade from Paraguayan Palo Santo wood. It’s the largest brewing vessel built in America since pre-Prohibition days, and cost an estimated $140,000 to build. Although Palo Santo Marron is labeled a brown ale, it’s almost black in appearance, and the tan head gives the impression of a stout. That is, until you take your first sip. Fermented with Sucanat, an all-natural whole-cane sugar sourced in Costa Rica, the beer boasts a bold, molasses-like sweetness with plenty of vanilla and caramel compliments of the exotic wood. Complex flavors of bitter dark chocolate also shine through, making this a sipper that satisfies both dark beer fans and those who like to drink their dessert. Since its inception in 1996, Firestone Walker has specialized in fermenting beer in oak barrels. The brewery stays true to its roots with this version, aged for more than a year in Woodford Reserve, Elijah Craig and Four Roses bourbon casks. It calls this strong ale a “Central Coast quad” thanks to the California twist it undergoes before bottling. That is, the brewery blends Mexican turbinado brown sugar and Belgian candi sugar to contribute to the beer’s caramelized character. The Stickee Monkee moniker is a nod to the Belgian monks who pioneered the Quadrupel style, as well as the Sticky Monkey flower that is native to California’s Central Coast. There is also a sticky sweetness to the ale’s taste, which is counterbalanced by the bourbon and oak astringency, along with hints of leather and rich cigar tobacco. This one-of-a-kind sipping beer will age well if you can resist the urge to pop the cap. Price: $20 for four-pack 12 oz. Originally released in 1992 to commemorate Goose Island’s 1,000th batch of brew, this imperial stout is widely considered to be the first mass-marketed beer to be aged in bourbon barrels. Over the years, Goose Island Bourbon County Stout has garnered a cult following — it’s released annually on Black Friday when true aficionados skip the department store lines and instead head to their favorite craft beer store. Its opaque black appearance and thick foam head are joined with an intense aroma that is a mix of charred oak, chocolate, vanilla, caramel and smoke. At 14.4 percent ABV, it certainly qualifies as a sipping beer. The stout pours rich, thick and chewy, and must be savored slowly in order to appreciate its complex flavors of sweet chocolate, roasted malt, dark fruits and pronounced bourbon. As the seasons change and a chill creeps into the air, we begin to crave the rich color and flavor of amber beers. Inspired by the classic Vienna style of lager, Great Lakes incorporates both nutty Munich and sweet Caramel malts into this smooth brew that combines craft ale complexity with pilsner-like refreshment. Brassy in color, its honeyed multi-grain toast scent is lifted with a pinch of peppery Hallertau hops. 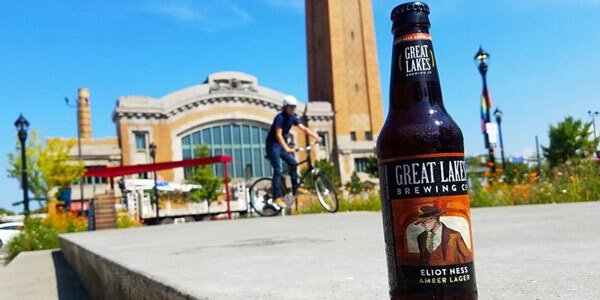 Named for the ‘noble do-gooder’ who pursued Al Capone, Eliot Ness is a gem of a lager — a simple, honest beer of substance that sure gets the job done. Price: $5 for 11.2 oz. Gulden Draak is Flemish for “golden dragon,” and this dark tripel is named for the large golden statue that has stood atop the Ghent Belfry since 1382, just ten miles from the Brouwerij Van Steenberge brewery. While most Belgian tripels are light in color, the Munich malt used in this ale results in a dark brown appearance. As the 10.5 percent ABV leads to a natural malt caramel and toffee-like sweetness, it’s considered to go best with dessert, or as a standalone liquid sweet treat. The bottle’s distinctive wide shape allows for natural refermentation to take place in the bottle, which also contributes to a creamy head. The centuries-old brewers’ yeast adds a full body and complex aftertaste, leading to repeated satisfying sipping. Brouwerij Van Steenberge recommends replacing the whiskey in an Irish coffee with Gulden Draak to make a unique Belgian-style version. This blonde ale is made in Cooperstown, New York, but it’s inspired by the centuries-old brewing practices of Belgian Trappist monks. Gnomegang incorporates the fruity, spicy yeast of the Belgian Brasserie d’Achouffe and is bottle conditioned with Ommegang yeast. The playful label depicts two chouffes (magical gnomes from Brasserie d’Achouffe) drinking a toast. Flavors of fruity esters, clove and spice from the Belgian yeast are balanced by hop bitterness and an effervescence that manages to hide the 9.5% ABV alcohol strength. After swallowing there’s more enjoyment with a lingering dry, slightly sweet aftertaste. Price: $10 for four-pack 12 oz. Considered to be a cult classic and benchmark for the American barley wine style, Bigfoot has been produced since 1983. At 9.6% ABV, it’s prized by beer collectors for its cellarability — folks stock up each year in order to compare how the flavors change over time. Sierra Nevada is known for brewing beers with a healthy measure of hops … and Bigfoot logs in at 90 IBUs, bittered with the potent Chinook and finished with Cascade, Centennial and more Chinook hops. Large doses of caramel and two-row pale barley offer an intense maltiness that’s sweet enough to balance the bitterness. The caramel adds a touch of toffee and combines with notes of dark fruit and citrus, after which this sipper finishes with a lip-smacking dryness. Note: While most beers should be consumed as fresh as possible, some styles of beer progress and improve with age, such as this one. Over time, gradual oxidation adds notes of sherry or port wine and smoothes out the harsh alcohol flavors. If choosing to age this to a vintage beer, store in a dark place with a cool and constant temperature.